Digital music production has come a long way in the last 15 years. Just a few years ago, it was nearly impossible to produce a song entirely on a computer, without it sounding like some 8-Bit Nintendo Music (Remember that sound?). However, with computers becoming more and more powerful, computer-based programs started to slowly replace the old integrated digital audio workstations. Nowadays, the vast majority of songs are produced exclusively on computers, and you can create pretty much any type of sound you can think of using your laptop only. This revolutionized the world of music for good, and made it possible for people with little to no musical experience to create their own music. New genres of electronic music have since been introduced, such as EDM, Trap, modern rap music, etc. So if you are a music producer or an aspiring artist looking for a laptop for music production, you’re in the right place. To help you narrow your search, we have gathered a list of some of the best budget laptops for music production you can find today. But first let’s look at some factor you should take in consideration when choosing a laptop for music production. 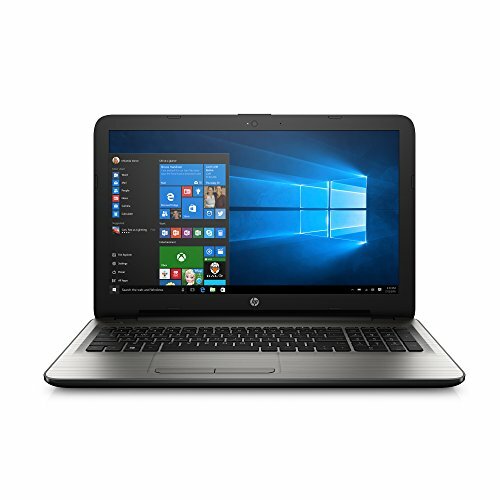 What to look for in a laptop for music production? · Minimum 6GB of disk space. 51GB of optional content available via in-app download. · Soundcard with DirectSound drivers. This list is far from being exhaustive and there are other widely used noteworthy DAWs such as Avid Pro Tools, PreSonus Studio One, Propellerhead Reason, and Cockos Reaper. The minimum requirements can vary from an application to another, that’s why it is important to decide on which DAW program you will be using, especially if you’re on a budget. Processor: As you might have expected, the CPU is the primary factor in your ability to run your favorite music production software with large complex projects. As a rule, for audio production, get the fastest multicore processor that you can afford, because on most laptops, you will be able to upgrade the RAM and the hard drive, but not the CPU. RAM: It is highly recommended that you get a laptop with 8GB of RAM as a comfortable minimum. Most DAWs will eat up your RAM, and if you are going to be using lots plugins or VSTs, you should even consider adding more RAM. It is preferable to get a laptop which comes with a free RAM slot and gives you the opportunity to upgrade. Storage: Solid state drives are recommended, since they are extremely faster than traditional mechanical drives, and make your laptop more responsive. However, they are expensive per GB and thus will really add up to the price of your device. Most manufacturers will only include a 512GB drive if it’s an SSD (and even less for budget laptops), while you can get a cheaper laptop with a bigger capacity mechanical drive. To decide whether you will need an SSD or a traditional drive take a look at the programs you will be using: do you need your laptop to be more responsive and to load files almost instantly? In this case, go with an SSD if it is within your budget. In 2017, large SSDs are still prohibitively expensive. If you will need lots of space, to install sound libraries or samples, it is recommended to get a regular hard drive. This is of course a matter of personal preference: you can always upgrade from a mechanical drive to an SSD, or choose a laptop with small capacity SSD, and store all your big files on an external drive for example. Mac or PC, which is best for Music Production? The answer is both. While all Apple laptops come with respectable specs, PCs offer a much wider choice, and are significantly less expensive and more flexible: the rule here is to simply choose a good system, and go with the operating system you’re familiar with. However, you should consider the programs you will need to run, some DAW applications are only available for Mac users, others are only available under Windows platform. Now that you have an idea which specs will make a difference when looking for a laptop for music production, let’s look at some of the best laptops we have picked for you. Please note that we have only included budget laptops under $700 on this list. You can also check this article if you need a laptop for FL studio. 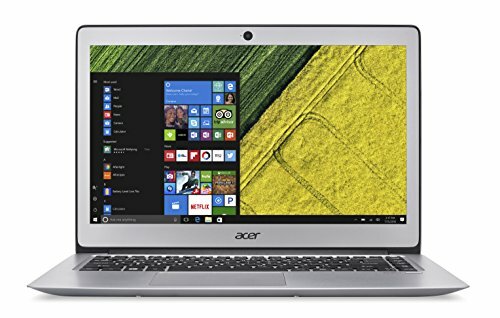 The Acer Aspire E 15 E5-575G-75MD is one of the best laptops you can get at this price range, it features a 7th Generation Intel Core i7-7500U Processor, 8GB of RAM, a fast 256GB solid state drive, and a dedicated NVIDIA GeForce 940MX graphics card. 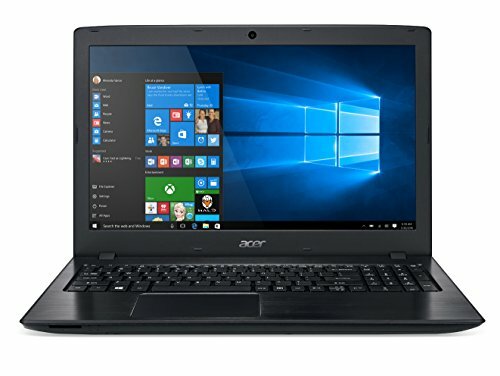 This is a perfect combination if you are looking for good laptop for music production, but also want to do more on your laptop, such as graphic design or gaming. The Aspire E 15 E5-575G-75MD is the perfect multimedia companion. You can also add more RAM, up to 32GB. The chassis is a mix of brushed aluminum and plastic, and the overall design looks quite slim, even though the laptop’s dimensions are 15.02 x 10.2 x 1.19 inches. The Aspire E 15 E5-575G-75MD is also future proof when it comes to ports, with 2 USB 3.0, 1 USB2.0, and 1 USB type C. Battery life is excellent, and you can get up to 12 hours of runtime from a single charge. Also note that this laptop comes with an extra HDD space! And you can easily add a 1TB drive if you need more storage capacity. With its elegant glossy finish with a brushed-metal texture, the ASUS VivoBook Max X541UA-RH71 not only gives you that premium feel, but has also enough computing power to handle all your demanding applications. This laptop comes with an Intel Dual-Core i7-6500U processor, 12 GB of RAM, and a 1 TB hard drive. This processor has a score of 4427 on CPU Benchmark, and can handle multitasking or music production software with no lags. As for ports, the VivoBook Max X541UA-RH71 comes with 3 USB ports including 1 USB type C and 1 USB 3.0), HDMI, VGA, Ethernet, and also a DVD drive. Asus equipped this model with a 3 cell 36 Whrs battery, so expect around 6 hours of use before you will need to plug in the charger again. The Acer swift 3 is a super thin notebook that comes packed with high level specs: a 7th Generation Intel Core i5-7200U Processor, 8GB of RAM, and a fast 256GB SSD for instant application opening. Built for productivity on the go, the Swift 3 can seamlessly handle your workflow and particularly and most music production programs..
With a full HD 14 inch screen, the Swift 3 is not cumbersome, nor too small, which is a big plus if you need to carry your projects with you and work in them on the go. Battery life is also very good, and the included 3220mAh battery can give you up to 10 hours of runtime. As to be expected, given its thin design, the swift 3 has 3 USB ports: 1 USB type C, USB3.0, and 1 USB2.0 on the right. 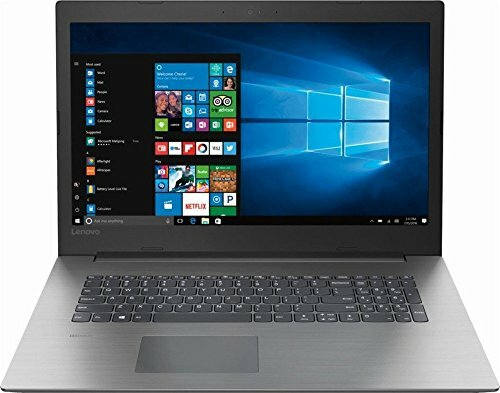 The Lenovo Ideapad 330 is a multimedia oriented 17 inch budget laptop. Under the black textured chassis you will find an Intel Core i7-7500U processor, 8GB of RAM, and a 1TB traditional hard drive. This processor has a score of 5247 on CPU benchmark, and is perfect for multitasking. However, this laptop does not support more than 8GB of RAM. The wide 17,3” screen has a resolution of 1600X900 pixels, and provides a good color reproduction. 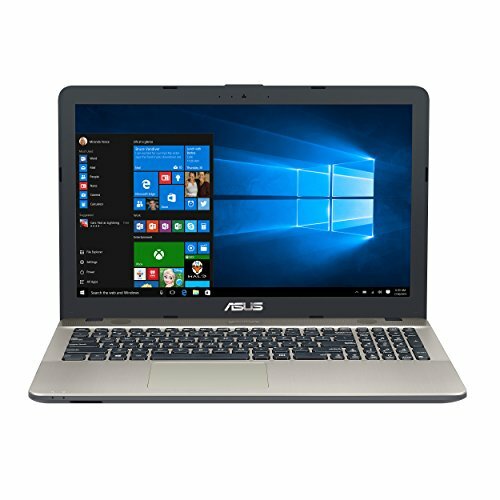 This is not a gaming laptop, despite the screen size, as it only comes with Intel 620 integrated graphics. Despite its size, this laptop only comes with 2 USB ports: 1 USB3.0, and 1 USB2.0. Battery life is up to 4 hours. The HP 15-ay011nr made it to our list thanks to its decent configuration; the device comes with a powerful 6th generation Core i5-6200U dual-core Processor clocked at 2.3GHz, 8GB of RAM, and a 1TB hard drive, which gives plenty of space to store all your projects files. 15-ay011nr has a Full HD screen that provides very good viewing angles and good colors. This laptop only comes with integrated graphics, and has no ambitions in gaming.